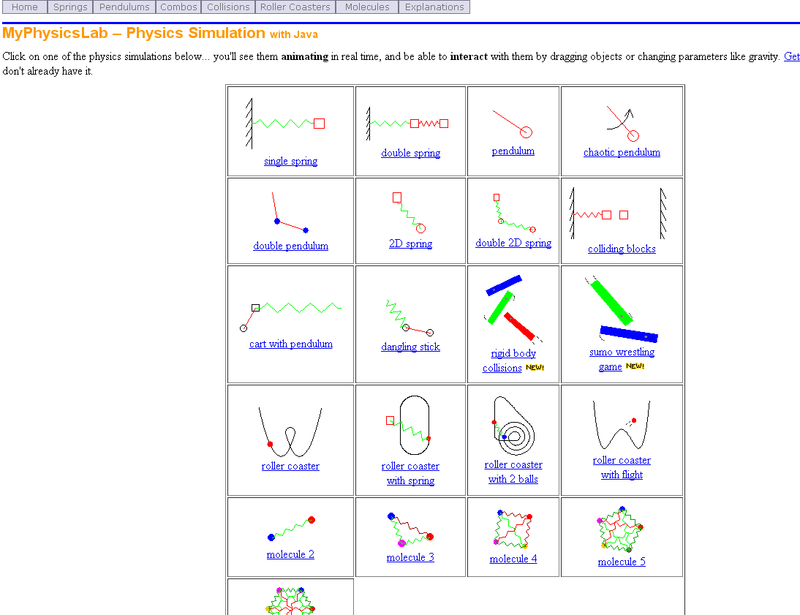 MyPhysicsLab is a free site that contains, you guessed it, physics lab simulations. 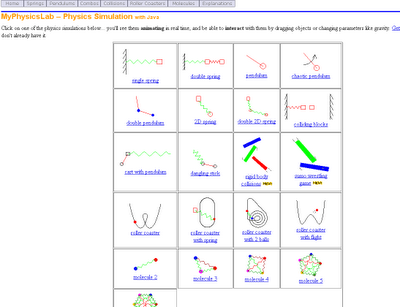 They are simple and created in Java, but illustrate the physics concept quite well. They are organized into topics: springs, pendulums, combinations, collisions, roller coasters, molecules. There is also a section that explains how they work and the math/physics/programming behind creating them. Simulations are a great way to really explore and visualize a topic. Many times, a simulation is better than a hands-on lab because of the manipulations and visual ques that exist. I use simulations in combination with hands-on labs. This is another great resource for physics students and teachers to use to explore and learn about physics concepts.